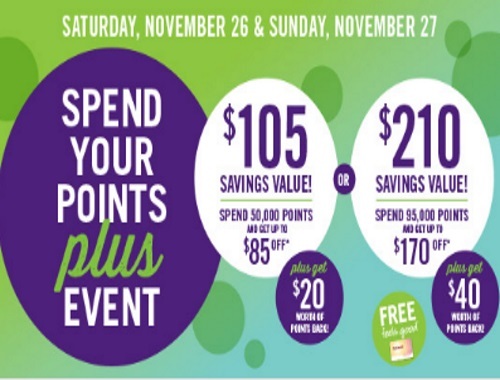 This weekend is a Spend Your Points Plus Event at Shoppers Drug Mart! Redeem your Optimum Points for lots of free stuff! Usually we get $15 and $30 extra savings during a Spend Your Points Event, this time around Shoppers is giving us Optimum points back instead (that you can spend another time). Offer is valid Saturday, November 26-Sunday November 27 2016. The $20 worth of points back on 50,000 points level redeemed is equivalent to 16,000 Shoppers Optimum Points. The $40 worth of points back on 95,000 points level redeemed is equivalent to 30,000 Shoppers Optimum Points. Shoppers Optimum Points will be awarded by December 12, 2016 (take a read of the fine print that goes over the event here).